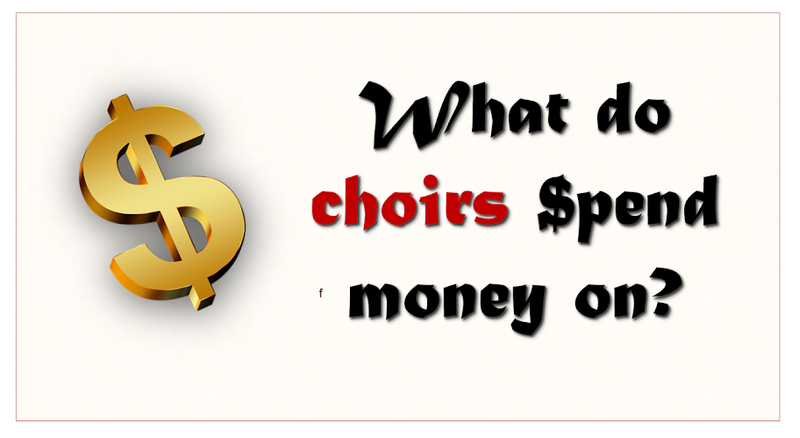 What do choirs spend money on? The cost of running a chorus or choir varies widely, depending on how the choir is organised, and how much work is done by volunteers vs paid administrators and musicians. This is a list of some of the typical types of expenses that a choir might have. This is usually per rehearsal - contact your country's choral music organisation for information about typical rates. 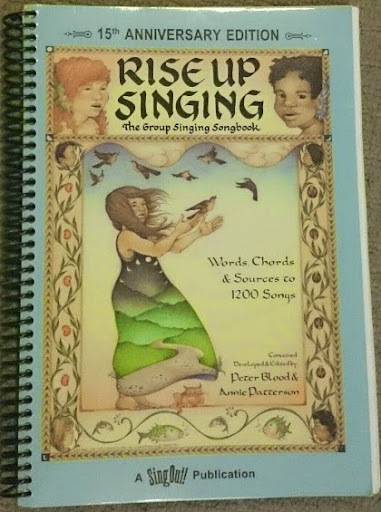 You can buy - or make line CD that members can use to help learn their parts. Even for works that are now in the public domain, recordings of each part separately are often sold rather than given away. Hire or purchase of a piano or keyboard (if it doesn't come with the venue) - or piano tuning if it does. Or backing tracks and sound equipment, if you aren't singing to live music. If you want to perform a work that is still copyright in public, then you need to pay for the rights to do so. some choirs offer a small payment to particularly good singers who provide strength and leadership to sections where they are weak. Sometimes this is purely for the choir's benefit, but it other cases it's a way of supporting talented young music students near the start of their careers. Tea, coffee, milk, sugar and biscuits. This is a small expense - but can add up over time. Taking pictures and making images that can be used in your publicity. Promoting the choir to potential members and audiences. This may include public relations and social media management: some choirs have volunteers who can do this for free, whereas others need to hire people to create posters, make and update their website, manage their Facebook page, etc. If you want to have a website, you need to "buy" your internet address and some space to keep your files - and you may need to pay someone to do the setting up and make on-going changes, too. You may also want to have a dedicated choir email address. To associate the choir with a local / regional / national choral singing organisation. If your choir is part of a larger body which provides central marketing and programme support. In many countries, if someone is harmed in any way by your activity (eg if they trip over during practise and break an ankle, then they may sue you for compensation. Because of the consequences of this, many groups will only operate if they have an insurance policy so cover this risk. This is a totally different type of expense, and varies widely depending on the type of performances you do. Keep an eye out for future articles looking at how to budget and plan for choir performances.